Real estate is bugging 29 million Americans—and who can blame them? 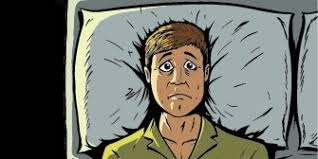 According to Realtor Magazine, more than 10% of U.S. adults say they are losing sleep worrying over residential issues. Area residents might not be part of any rampant insomnia epidemic, but for many, at least some components of Clark housing costs have been inching up. The recent raft of buoyant economic news would seem to at least cool any fears that Clark housing costs are liable to trigger a local insomnia epidemic, but should that not prove out, Bankrate offered one psychologist’s preventive antidotes. Getting it out of your system was the first: “Dump the stuff from your brain onto paper.” Also recommended were exercise, yoga, or (if all else fails) cutting back on expenses. Not included was another practical local prescription for minimizing possible sleep loss over Clark housing cost issues: call me. There is no better way to ensure the most financially sound options will be uncovered and brought out for you to choose!